Lay off Jose Mourinho, forget about divisive plane stunts and back the manager. Amid the politics between Mourinho and executive vice-chairman Ed Woodward, and the soap opera around Paul Pogba’s future, Manchester United have lost sight of the most important part of their club – the actual football. It’s been open season on Mourinho, but I’m NOT going jump on the bandwagon. He hasn’t become a bad manager in the space of a shocking 90 minutes at Brighton. Nor has Pogba gone from World Cup winner to liability almost overnight. 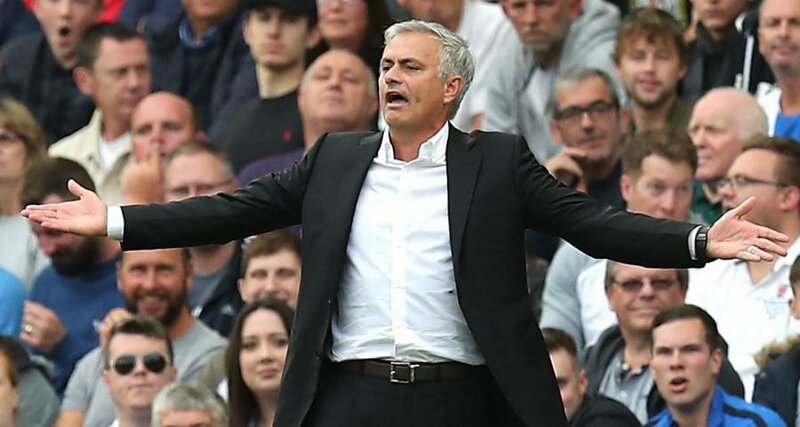 It’s time to bang a few heads together at Old Trafford because United fans – who gave Mourinho unwavering support at the Amex, despite the team’s unacceptable performance – deserve better than the blame game and players shirking responsibility. In the event of a poor result under Sir Alex Ferguson, I’m sure United would have battened down the hatches and produced a telling response where it matters – on the pitch. But when Fergie’s teams lost, the big characters in United’s dressing room – Roy Keane, Rio Ferdinand, Nemanja Vidic, Bryan Robson – would take control and remind the players of the standards required. Where are those leaders in this group? Who is rattling cages and rallying workers on the shop floor? I don’t see enough generals on the pitch, just foot soldiers. One problem for Mourinho is that he is up against a genius across town in Pep Guardiola. Manchester City’s super-slick football is the envy of all their Premier League rivals, not just United, but watching the All Or Nothing documentary about City romping the title last season, it’s interesting that Pep almost encourages his players to “hate” him if it makes them go out and play better. And a repeated keynote of Guardiola’s team talks is telling his players to take responsibility and play with courage. Maybe some players at Old Trafford should watch it and put some of Pep’s ideas into action. Mourinho’s track record deserves more respect than the hammering he’s been taking from some quarters. He’s won nine major trophies in English football where Liverpool’s Jurgen Klopp and Tottenham’s Mauricio Pochettino have won none – yet they can do no wrong and the United manager is being slaughtered after just TWO games of the season. By the way, Klopp and Pochettino are both doing a fantastic job. But it appears that Mourinho is being judged by a different set of rules to his rivals. I don’t care about the argument that he has failed to get the best out of Pogba – because Pogba himself is part of the problem. Up to now I’ve been one of his biggest advocates, but throwing your arms in the air when passes go astray, not tracking runners and not doing the hard yards isn’t going to win matches. And that applies to United collectively, not just Pogba. When you play for Manchester United, the biggest club in the world, maximum effort is the minimum requirement – and some of the players’ effort levels at Brighton were shocking, way below that basic standard. Is that down to Mourinho failing to inspire them, or should the players – to borrow Guardiola’s phrase – take responsibility for their performances and motivate themselves to do well? And if you are going to give the manager a new contract, as United did in January, surely you have to back him in the transfer window. He tried to sign Toby Alderweireld from Tottenham but it appears he wasn’t given the backing required to get it over the line. To stand a chance of closing the 19-point gap City opened up when they ran away with the title, United need everyone pulling in the same direction. Now some fans are planning a fly-past with a banner calling for Woodward to go. What is that going to achieve, apart from adding another unnecessary distraction and heaping more pressure on the players? Everyone is entitled to an opinion, but it’s so easy to take the negative viewpoint before events have had a chance to run their course. If United are off the pace at Christmas, results – in the Premier League, Champions League and Carabao Cup – will inevitably dictate what happens to Mourinho. But it’s churlish to write him off after two games.